Why would I need self storage in Pleasant Hill, CA? There are a variety of reasons why you might need self-storage in Pleasant Hill, CA. How much is a storage unit in Pleasant Hill, CA? The cheapest storage unit in Pleasant Hill, CA is $95.00 per month. What size storage units do you have available in Pleasant Hill, CA? In Pleasant Hill, CA we have sizes that range from 5'x5' to 10'x30' to suit your storage needs. How much is it for a 5'x5' storage unit in Pleasant Hill, CA? The cheapest 5'x5' storage unit in Pleasant Hill, CA is $95.00 per month. Pleasant Hill is a relatively small city in California's Contra Costa County, located in the eastern region of the San Francisco Bay Area. The city was developed using environmental planning that aimed to protect the native plants and animals, as well as prevent sound pollution to the surrounding environment. In addition to its careful city planning, Pleasant Hill has earned attention for its notable architecture, like the award-winning city hall. As is true for most of California, the town of Pleasant Hill was initially the property of Native American tribes. In the 19th century, Mexican and Spanish settlers arrived in the area and made it their own. However, it wasn't until the gold rush that the land saw significant development. New pioneers arrived and set up homes on the verdant landscape, most of them growing their own food and living fairly isolated lives. Pleasant Hill as its own distinct town came into existence only about 50 years ago. The name is derived from the school district that originally served the area, consisting of just a single schoolhouse. The city had served as a bedroom community for nearby cities until World War II. In 1961, Pleasant Hill incorporated and began to grow much more quickly. 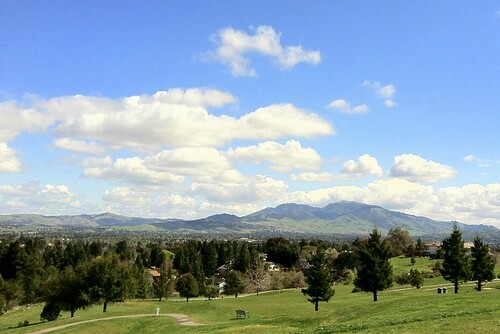 Pleasant Hill generally receives high scores for livability, despite its high cost of living. The availability of amenities helps make up for expensive housing, making Pleasant Hill a popular choice for families and young couples. Public transit is extremely accessible, making it easy to get around even if you don't have a car. There are plenty of grocery stores, restaurants, cafes, gyms and other venues that help improve the quality of life in this city. You'll find a tight-knit sense of community in Pleasant Hill, bolstered by the city's numerous local events and celebrations. The city's farmers market takes place every weekend through the summer and fall, offering a variety of local produce, baked goods and live performances. Near city hall, you and your family can attend the Sunset by the Lake Summer Concert Series. Pleasant Hill hosts several charity-focused events, including Relay For Life, Annual Community Service Day and the Come Together 8 concert series. The unemployment rate is much lower here than the national and state averages, which is good news if you're planning on joining the local job market. The city's largest employers include the Mount Diablo Unified School District, Contra Costa County Fire Protection, Safeway and Target. The Mount Diablo Unified School District serves the public schools in Pleasant Hill. The city is also home to a few private schools, most of which are faith-based. If you're hoping to work toward your college degree, Diablo Valley College and John F. Kennedy University are two local campuses. The city also offers trade school options, like Paul Mitchell The School. Utilities: Pacific Gas and Electric is the city's central energy provider. There are a few different water districts in Pleasant Hill, and your provider will depend on your location. Garbage and Recycling: Trash and recyclables are collected regularly throughout the city. Your specific neighborhood typically determines your collection schedule. Transportation: County Connection and Bay Area Rapid Transit (BART) provide public transportation in and around Pleasant Hill. The cost of housing in Pleasant Hill is much more expensive than in other U.S. cities, but less than the San Francisco metro area average. You can choose from apartments, condominiums, townhomes and single-family homes throughout the city, making it easy to find something that works for you. Our lowest priced units in Pleasant Hill, CA average $95.00 per month. 72 people have reserved units in Pleasant Hill, CA in the past 30 days. There is 1 location within Pleasant Hill, CA's city limits. There is 1 location in Pleasant Hill, CA that offers AC and Heating features.